Welsh hoody with embroidered motifs and welsh flag design hood. 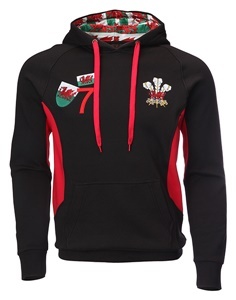 Top quality welsh hoody with vibrant red panelling under the arms and a pouch pocket on the front. Comes with an array of features making this hoody truly remarkable. 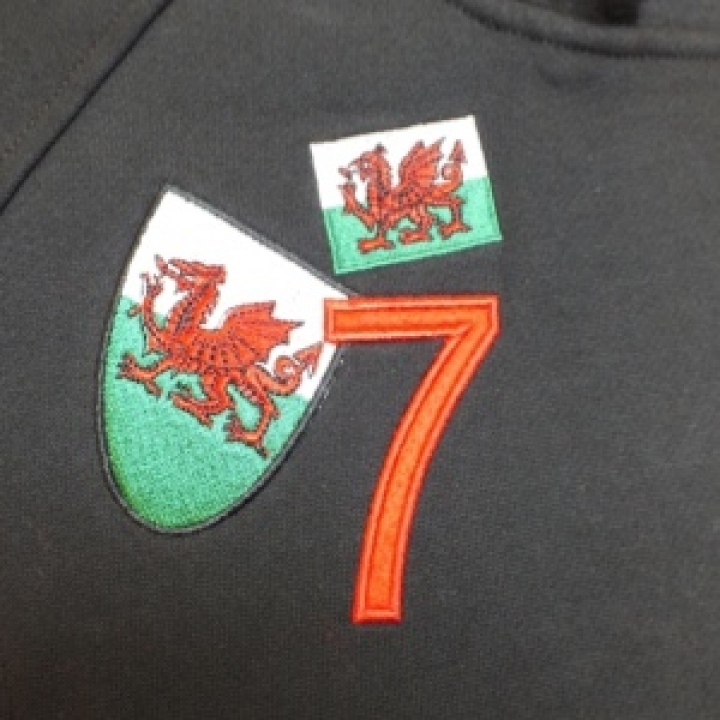 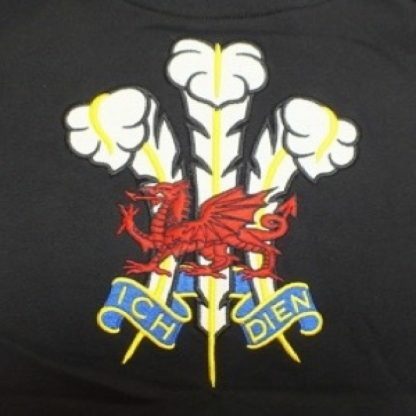 These include an embroidered Welsh shield and flag along with the number 7 on the right breast, then the traditional 3 feathers logo (Ich Dien) with a dragon is embroidered over the left breast. 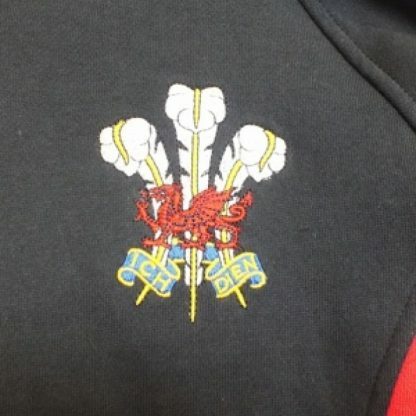 On the reverse is a larger, more striking version of the 3 feathers logo. 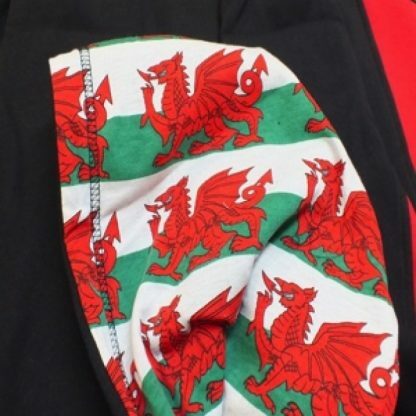 Finally, the inside of the hood is lined with a bold welsh flag design. 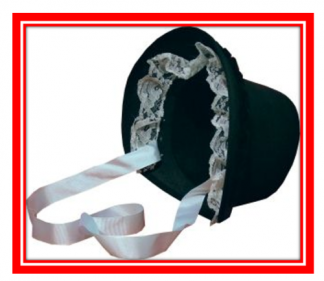 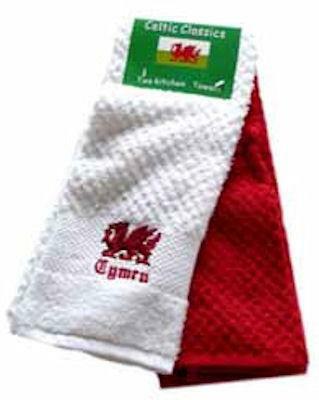 Perfect for any proud Welsh man or woman!